The CEOs Christmas Luncheon was held on December 7, 2017 at the Ritz-Carlton, Kuala Lumpur. This event was attended by more than 70 CEOs and company leaders. Korea Tourism Organisation (KTO) sponsored the event. 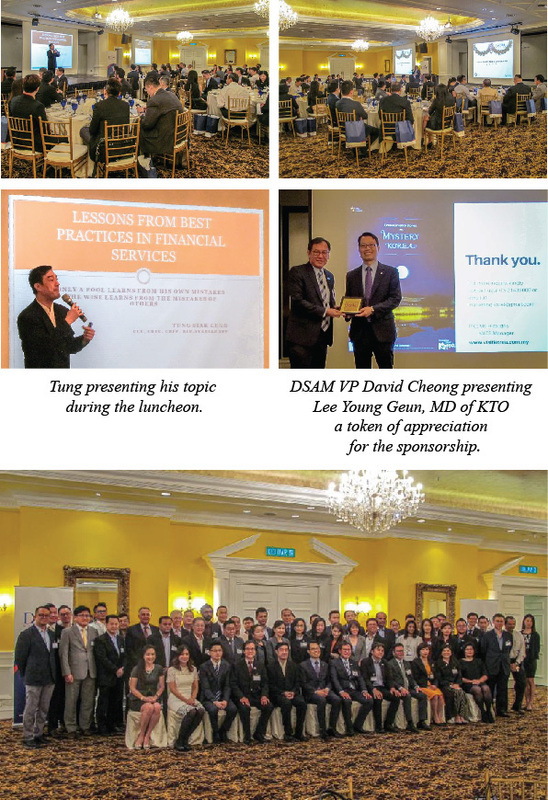 During the luncheon, Tung Saik Leng, an award winning financial planner, author, lecturer and consultant in the area of financial services presented “Lessons from Best Practices in Financial Services”. In this thought provoking session, Tung described the financial services’ successes and failures over the years. The next CEOs Luncheon will be held on March 13, 2018.